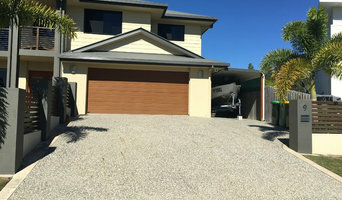 Coastal Building & Extensions has over 37years in the building industry. We are located on the Sunshine Coast and specialise in Carpentry – Decks – Renovations – Patios -Home Maintenance – Insurance Work and New Homes. We Value Our Reputation and We Will Meet Our Clients’ Expectations - We pride ourselves on being easy to communicate with, that’s why we are used to providing effective results even with changing briefs. Whether we uncover something unexpected, or a client changes their mind half way through a project, we are always proactive at embracing changes that are needed as the project progresses. We Deliver Value For Money - Our knowledge of the local market enabled us to source the materials required to achieve high quality construction throughout; and together with our understanding of the more technical elements of the build, enabled close and successful management of the specialist trades to achieve the results desired. We Go The Extra Mile - We all know that no one can work for free in this business. But putting in some extra time is always appreciated. Those little extra things you might not expect will go a long way. Sunshine Coast Decks is a professional team of builders specialising in quality decks and patios to suit the Queensland climate and lifestyle. We can create you an affordable custom Patio, Deck and Outdoor entertaining area tailored to suit your requirements, and your budget! Suncoast Pergolas offers the design and creation of beautiful and high quality Patios, Decks, Pergolas, Carports and Outdoor Spaces on Queensland's Sunshine Coast. Working with you to design your ideal outdoor space. We renovate the inside of your house. Services At dw marine we pride ourselves on carrying out any request, big or small, in a punctual, safe and friendly manner. We offer service to domestic, commercial and government clients. Pontoon Maintenance and Repairs Limited access specialists, we come by land or water to carry out onsite repairs. High pressure cleaning, new pontoon brackets, rollers, fender systems and barnacle removal services. Pontoon Make Over’s & Re Carpet We use only the best products to ensure longevity in the harsh UV climate. New carpet, cleats, bait boards, ladders, boat / jet ski winches, winch posts and boat roller systems. Jetty & Deck Repairs We install new timber or ply to your jetty, deck or walkway due to decaying material that is structurally unsound. 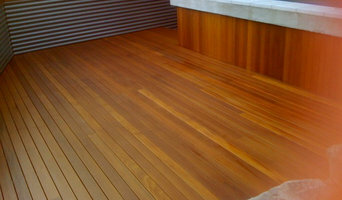 High pressure clean and re stain your deck or jetty to bring it back to life. Pontoon Removal & Jetty Demolition Do you have a pontoon or jetty that requires removal? dw marine will do it with limited impact on the environment. Boat / Jets Ski lifts Installation We install a range of boat or jet ski lifts, at the client’s requests. 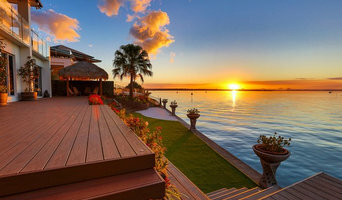 Property Maintenance & Landscaping dw marine carries out all handyman projects, landscaping, painting, high pressure cleaning, rubbish removal and material delivery / removal by water if required. Boat Deliveries & Transport Our commercially qualified skippers and crew will deliver your vessel to any destination in a safe and timely manner. In addition we offer voyage preparation, refueling, boat checks whilst you’re on holidays, provisioning and relief skipper services should you need an immediate replacement. Boat Maintenance & Antifoul All haul out and slip way services can be carried out, including high pressure cleaning, anode replacement and anti fouling. Boat Cleaning & Detailing No matter what size vessel you have from trailer boat to super yacht we can assist in all exterior / interior cleaning and detailing. dw marine is a mobile service, we come to you. New Boat Tuition Our Qualified skippers can take you through all aspects of boat handling from trailer boats to super yachts. Assist in local knowledge, bar crossings and fishing techniques. Let us take the stress away from that first trip. A durable Stratco Outback is a lasting investment, protected by a fifteen year structural warranty (conditions apply). When installed by an Authorised Outback Dealer it is also covered by a one year installation warranty. The Stratco Outback range is engineered and tested to comply with all relevant Australian Standards. Major components are made from strong high tensile steel, while the fixings and brackets are galvanised for a long, useable life. As your pergola, carport and patio builders, we’ll only ever use tried and tested materials so your new structure lasts for decades to come. A durable Stratco Outback is a lasting investment, protected by a fifteen year structural warranty (conditions apply). When installed by an Authorised Outback Dealer it is also covered by a one year installation warranty. The Stratco Outback range is engineered and tested to comply with all relevant Australian Standards. Major components are made from strong high tensile steel, while the fixings and brackets are galvanised for a long, useable life. As your pergola, carport and patio builders, we’ll only ever use tried and tested materials so your new structure lasts for decades to come. A&G Lifestyle Solutions Pty. Ltd. 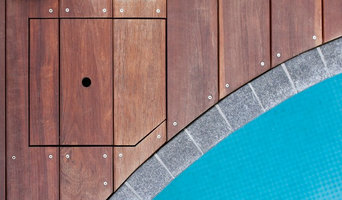 Some contractors in Sunshine Coast, Queensland can custom design and build any type of outdoor structure, from decking to pool houses, while others specialise in a certain area. A deck, patio and outdoor structures contractor will typically survey your space and come up with a design that complements your backyard and the exterior of your Sunshine Coast, Queensland house. 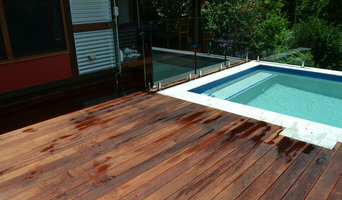 Find a Sunshine Coast, Queensland deck, patio and outdoor structure pro on Houzz. Scroll through this page to professionals in your area that can design, build and supply materials for all types of outdoor structures. You can browse their latest projects, read reviews to see how other homeowners rate their work, and message them directly.